Drexel Hamilton analyst Brian White described Apple as a “trillion dollar [sic] baby” in a note late last week. He reported that sales from Taiwan-based suppliers in his Apple Monitor were weaker than typical seasonality in October, although the September quarter was the best ever recorded. Sales rose 1% month over month, compared to the 12-year average increase of 7%, although that was after five straight months of growth that was better than typical seasonality. White has a $235 price target on Apple stock, which would give the company a market cap of $1.2 trillion. 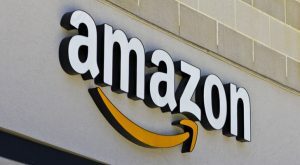 Article printed from InvestorPlace Media, https://investorplace.com/2017/11/apple-aapl-stock-amazon-amzn-stock-race-1-trillion-valuation-ggsyn/.